I spend a lot of time at Giftie Etcetera talking about what is on my weekly and daily plan. But what about what is NOT on my planner spread for the day? Most of what I need to do in any given day goes on my daily or weekly plan (shown above). After all, I don't want to miss something. Sometimes, I am working on an active project. In that case, I note on my weekly spread or daily docket that I need to consult my project pages. But some stuff doesn't make my daily plan at all! 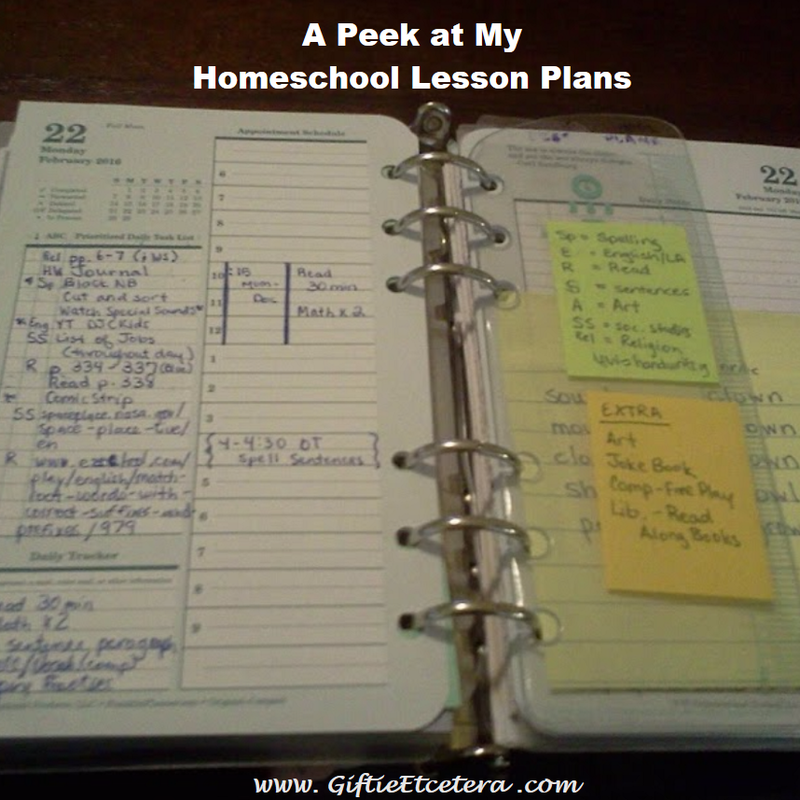 Homeschool lesson plans are a great example. If the older kid goes to school, the younger one homeschools. It's non-negotiable, so I know to do it. My homeschool plans go on Franklin Covey inserts. They are extensive, so I keep them in a different part of my planner. I won't forget to homeschool. There is a kidlet home as a reminder! Also, if something in homeschooling is time specific (like going to the occupational therapist or going to the math tutor), it IS noted on my daily or weekly plan. Daily goals are things I'd like to do every day, like household chores and self-care activities such as exercise. 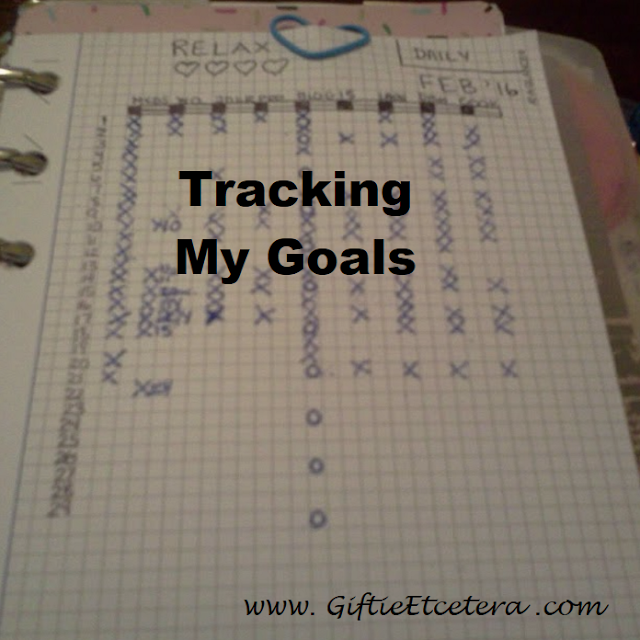 They are not critical, though, and I am in the habit of doing them, so they simply go on my goals tracker. 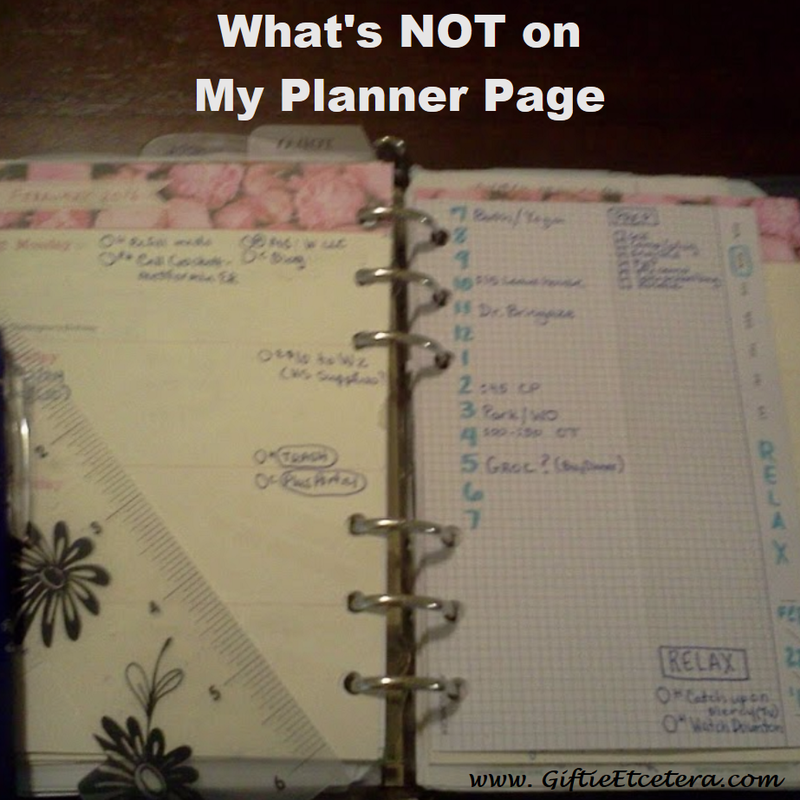 For more ideas about what does not belong in a planner, check this out! My daily page and my goal tracking chart were done on AT-A-GLANCE Planning Note Cards that fit perfectly in a Franklin Covey compact. Let me know in the comments what is NOT on your main planner spread. 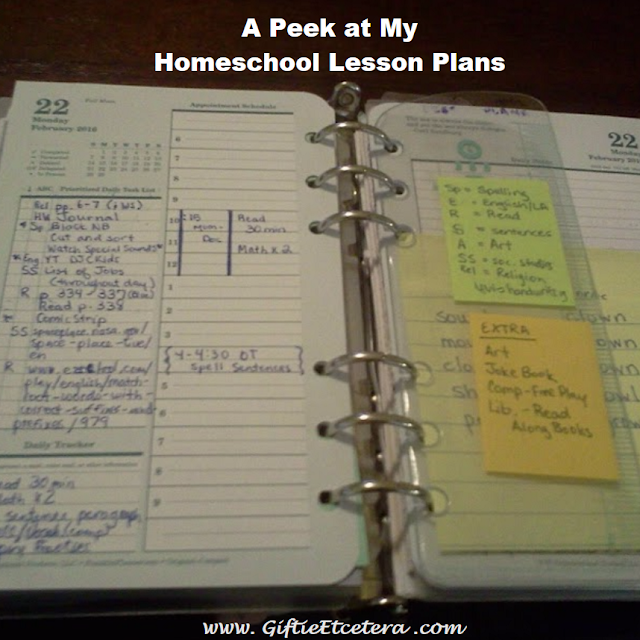 My homeschool plans don't go in my planner unless it is time specific and/or involves others, or something out of the ordinary I want to make sure I keep in mind as I'm making my schedule. The exception to this is when I am needing to do a daily schedule with really specific times for each task, I will block out the time for homeschooling. I also don't include my lists or goals, such as books to read. Those go in my projects section. Any things I'm planning or keeping track of also go in my projects section.